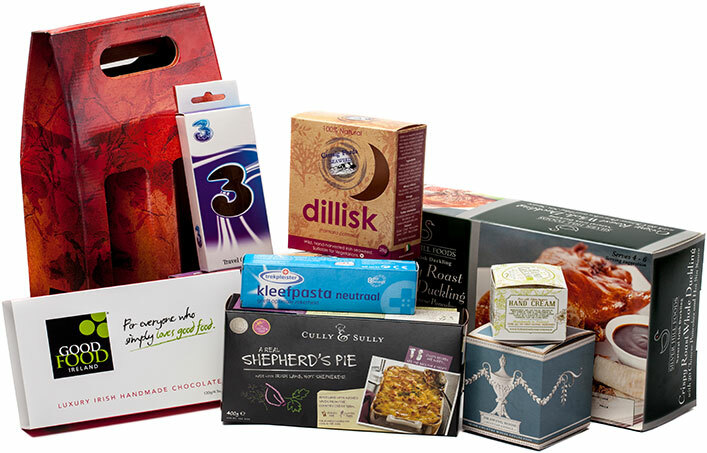 Dollard Print and Packaging can manufacture all of your printed folding cartons and packaging needs to your unique requirements. We supply quality printed packaging to the retail food, pharmaceutical, healthcare and technology sectors. Based in Dublin since 1982, our printing and finishing facilities produce a wide range of high quality cartons and boxes that will perfectly contain your product and enhance it’s presentation. We pride ourselves on our company-wide commitment to giving our customers the very best of quality packaging and service. Our sales reps can visit your premises to discuss your carton and sleeve requirements and advise you on the best way to produce your packaging. If you would like to train staff in some technical aspect of packaging or get advice on any aspect of packaging buying, you may find one of our 11 Training Guides downloads useful. Read our popular blog on ways to reduce the costs of your printed carton or sleeves in 2019 here.